want our customers to know that our ingredients and practices follow the strict USDA Organic standards. To learn more about why buying organic is so important please click here for more information. Sweet Lucie’s is handmade, super premium, old fashioned ice cream and sorbets. We make all our ice cream and sorbets in small batches with the finest USDA Organic certified ingredients. 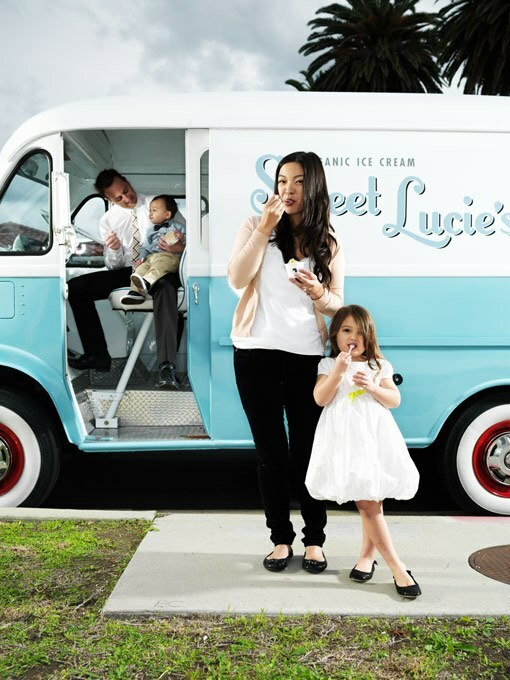 Sweet Lucie’s is the first USDA Organic certified ice cream manufacturer in Southern California. Giving back is important to us, and we strive to use ethically sourced ingredients whenever possible. This practice supports a better life for farming families in the developing world through fair prices, community development and environmental stewardship. made with simple ingredients that are sweet on the environment, and ethical business practices. Sweet Lucie’s all started when Geri Czako had a craving for something sweet. organic, Geri decided to make her own. sweet perfection. Oh, and, Geri had her baby girl. is a line of super premium, all-natural organic ice cream, sorbets and sauces. Here is a sample of the ice cream, sorbets, sauces and treats we offer. * Ask about our coconut-milk based, non-dairy, frozen dessert options.